Fearsome Dreamer is the sort of book that desires to seduce you slowly. There’s no quick pay off, no one night stand, the story reels you in, gently, gently, until you’re completely enraptured, immersed in the world Laure Eve has created. 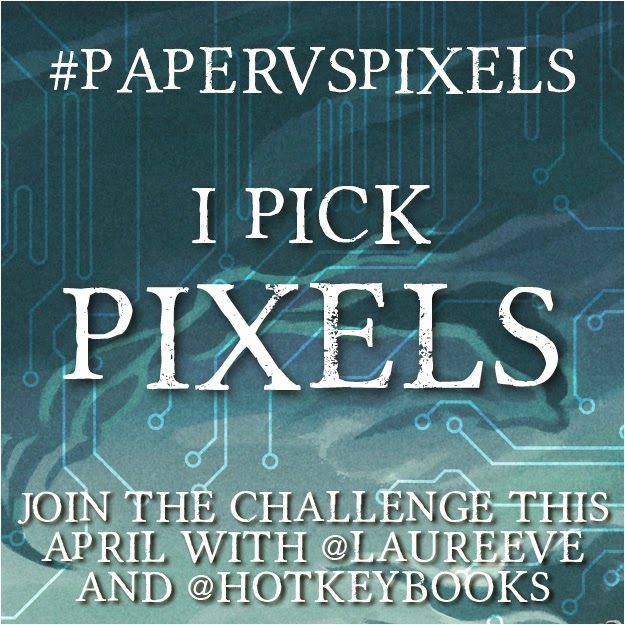 It’s clear that Laure Eve has been inspired by a great many things; paying them homage whilst still crafting a novel that is entirely unique and entirely her own. You may feel that fantasy, alternate history, sci-fi, a slight dystopian slant and hints of horror would not a fantastic book make. You would be wrong. Laure Eve seamlessly weaves together snippets from multiple genres to create a story that almost defies categorisation and makes it one of the most unique and interesting books I have ever read. The World and world Laure Eve has created is both intriguing and developed. An interesting mix of future technological globalisation and old-England-come-fantasy-setting, information about the state of our planet and its inhabitants is drip-fed, avoiding a confusion-inducing info-dump and succeeding in holding the interest of the reader; curious to learn more. The characters are real, with personality traits that are not always desirable but in no way affect the likability of those possessing them. Rue is fanciful and almost silly; with that innocent narcissistic touch that many teenagers exhibit, making her easy to relate to. She believes she is destined for great things, in that self-involved way many of us view ourselves in our teen years, and, in her case, she is right. Transported from her home in the countryside of Angle Tar, to one of the majestic cities, she meets White. The young and severely introverted instructor is quickly irritated by Rue’s thoughtless, unfiltered way of speaking; leading to a strained relationship, until an episode reminiscent of one of my favourite moments in Buffy the Vampire Slayer forces them to re-evaluate how they feel about each other. This new tension, this awareness, is heightened during my favourite scene of the book, which is clearly inspired by one of the great scenes of literature and is absolute perfection. White’s almost desperate attempts to forge the sort of connection he wants but struggles to make are endearingly heartbreaking, as is the almost complete social shutdown he forces upon himself, and the flashes of what happened to him before Rue came along are even more so. White and Rue are both ‘headhunted’ by Frith; a complex and complicated character that I found myself both respecting and fearing. It is through Frith that we discover the end game of the story: the mysterious Castle; the horrors it contains; the need for the Talented, and the tense relationship between Angle Tar and World: a relationship that fuels some of the most important elements of this book. 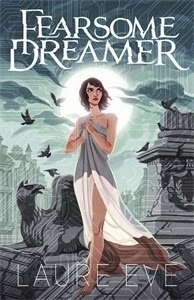 Fearsome Dreamer is very literary in the sense that there’s a certain emphasis placed on the language and the characters; specifically their interactions and relationships with each other. The book reminds me of The Scorpio Races by Maggie Stiefvater in this aspect, and its ending certainly packs a similar emotional punch to the climax of that novel. TL;DR: Fiercely compelling, Fearsome Dreamer is an accomplished, captivating and thoughtful debut novel. There are some fantastic female writers really making waves in the fantasy genre lately; Leigh Bardugo, Samantha Shannon, Sarah J. Maas, and Laure Eve should count herself among them. Ahh this sounds so great! I think I might have to read it next now :) Great review, Cait! I meant to mention the language in my review and then realised I had forgotten! I'm reading this at the moment but I'm finding it difficult as I can only read bits of it between studying for my exam. Reading your review makes me even more excited to be able to completely focus on it in a few days time! I wasn't really fussed by this I until I read this! I absoutely love the idea of the world - I do love mash-ups of setting/era/genre. Slow seduction by book is my favorite. (That sounds weird. Oh whatever hahaha). Also I love it when a book incorporates multiple elements from different genres. Sometimes if a book follows its genre too closely, it seems like there's no room for surprise. Hmm, are the old England elements similarly mixed in as they were in Bone Season? Like how the Rephaite wore those old Victorian like clothes? I do like the idea of mixing the two and especially that it avoids info dumping, which TBS didn't in full. Ha, I haven't watched Buffy so I don't know what moment you're talking about, but you've definitely made me curious about the relationship between Rue and White. I like the hate turned into something else kind of relationships, and maybe not even hate. Heightened awareness makes for great tension. You're very good at giving at small glimpses of the book - just enough to make me curious without spoiling what actually happens. I'm curious about this Frith guy, and I love literary feels to really imaginative worlds. I'm surprised that it reminded you of The Scorpio Races... I didn't get that impression when I'd read Sam's review, but that was a review, not the book. Interesting.... hmmmmm.